The robot team at IAAC, among them Gabriel-Bello Diaz and Alexandre Dubor who presented their paper on Magnetic Architecture at Rob|Arch 2012, are members of the Association for Robots in Architecture and using KUKA|prc for their robot courses. 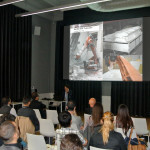 They have posted images and videos of their recent Machinic Conversations course at the IAAC Blog. We’re really thrilled what they did with KUKA|prc! 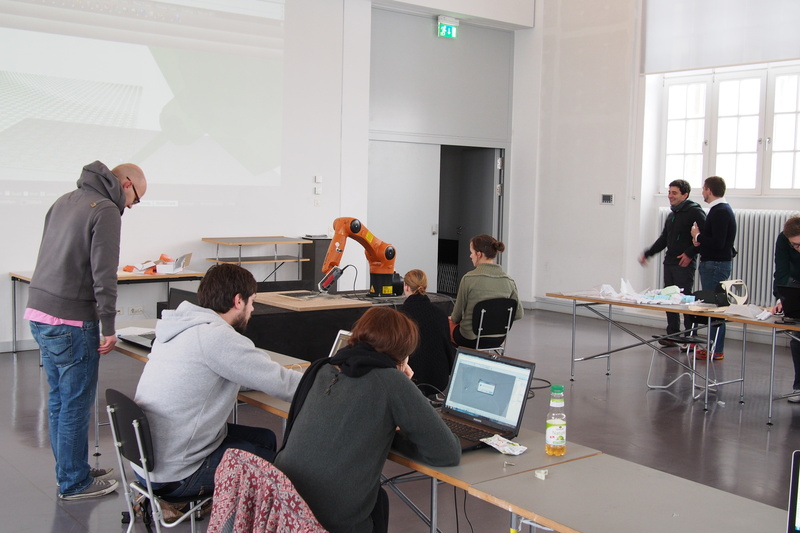 2013 is also shaping up to be a busy year for the Association for Robots in Architecture: At the end of January, we were invited by INA to hold a robot workshop at the Hochschule Trier in Germany, followed by a workshop for KUKA CEE‘s robot partners in Turkey in February. 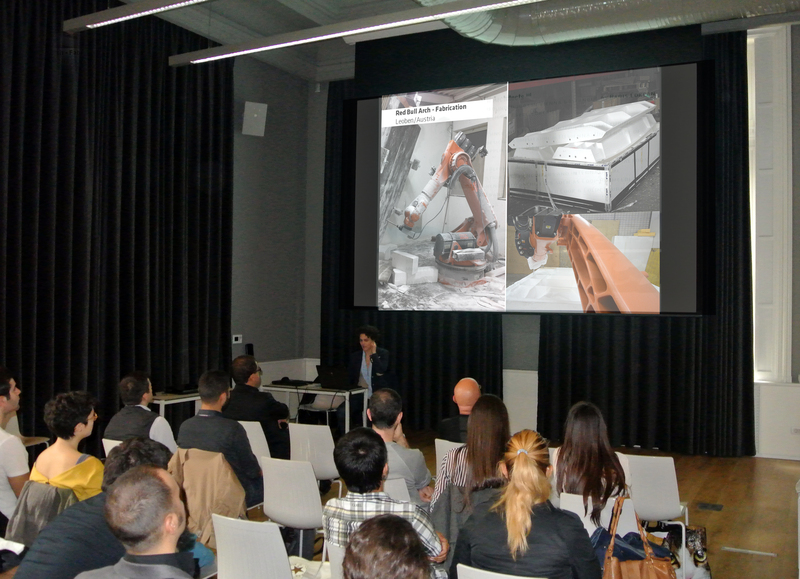 In March, Robots in Architecture held a lecture as part of the Computation Design an Architecture in Turkey conference in Istanbul, and a KUKA|prc workshop at the IEU’s department of architecture in Izmir, Turkey. Just last week, we had the pleasure to hold an evening lecture at Co-de-iT‘s and rese-arch‘s Digital Architecture Symposium, which was part of their CTRL.SHIFT workshop in Vienna.